The Oppressive Abundance of Opportunity – Love. Life. Practice. Are you familiar with Hicks’ Law? 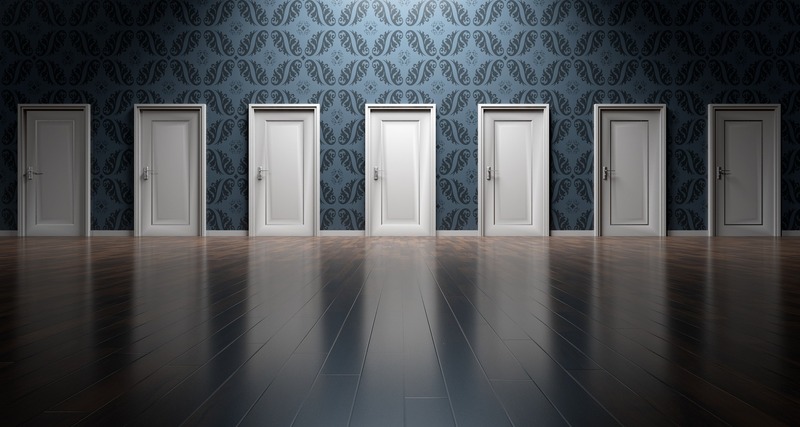 Also known as the Hicks-Hyman law, it basically states that the more choices you face, the longer it will take you to make a decision. In my house, we would call this the Netflix-Hulu effect: with so many different shows to watch (or watch again) we spend more time shuffling through menus and previews than actually enjoying the shows. This is basically where I found (and, to be fair, still occasionally find) myself. When you embrace a mindset full of possibilities, it’s like a Netflix of your potential life choices. And that can definitely be paralyzing. Of course, there are a lot of resources out there designed to help you make that choice…so many, in fact, that the Hicks-Hyman Law once again can come into effect, with book after podcast after TED talk after blog post giving advice, to the point where you again wonder: which one should I pick? Let me recommend one, because it’s the one that reminded me of an important fact (which I’ll get to soon). The book is called “Designing Your Life”, and it’s by Bill Burnett and Dave Evans. They’ve talked a lot on podcasts and yes, TED Talks, so you can get the gist of what they say online, but it’s the book itself – and actually forcing myself to do the accompanying exercises and worksheets – that really made their way of thinking work to help me narrow my choices and escape the Hicks-Hyman trap. “Design thinking”, as they teach it at Stanford in their class of the same name, is basically a several step process that includes things like creating an “Odyssey Plan” and more. Rather than do them the disservice of trying to sum them up, I’m going to simply strongly suggest you get the book, and work through it bit by bit. The first half will feel silly, perhaps, or even just the same-old-exercise kind of thing…but the second half of the book made me feel somuch better about the place I’m at, and I’m glad I kept going with their ideas. Now, obviously there is a bit of an assumed privilege there: when I was a single Dad raising my daughters and on welfare, I did not have the space or the luxury to pick and choose the way I do now. The book still would have been helpful, but would I have had the time to read it? Doubtful. But right here, right now, I have the luxury of reduced obligations and an abundance of time. That means this book – and the choices I’m prototyping right now – helped me get past the obstacle of the Hicks-Hyman law and get things done. I hope, whatever choices you have, that you can find a way to remember: it’s not about making the right choice. It’s about making one good choice, and trusting that there are a lot more where that one came from.